I am not really one to dress up for halloween, so I try to keep it simple, comfortable and cheap. This year I needed something to wear to a halloween work event, so I went as myself, a craft nerd...but I dressed geeky-er than usual. This is a really great last minute, simple option if you are still not sure what to dress up as! See how after the jump. • Some gold sequin fabric, or color of choice. • Pop out the lenses of your dollar store glasses and spray the glasses gold. 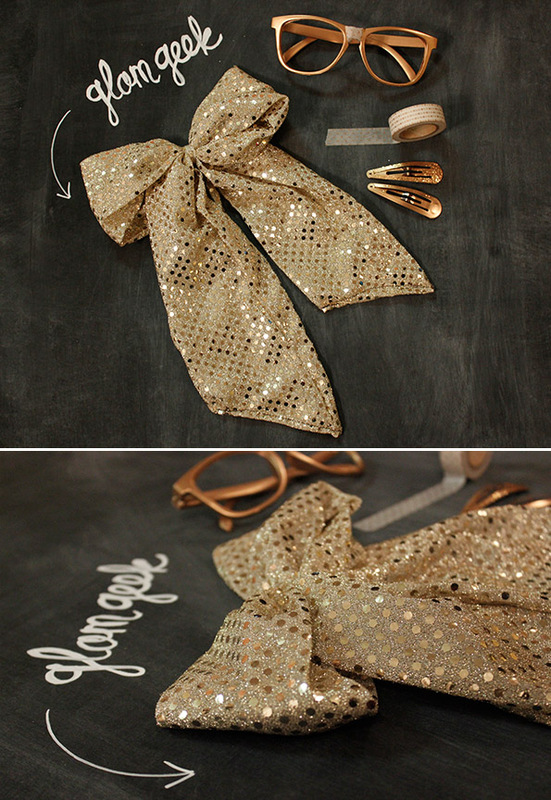 • Spray the hair clips gold and add glitter. Let dry. • To make a bow like mine, all I did was cut a stripe of fabric twice the width I wanted the finished bow to be. I folded the fabric in half (outsides facing eachother) and sewed it together. Turn the fabric right side out again and cut the ends at an angle, then sew shut on both sides. Tie into a bow. Add a a strip of fabric to the back side of the bow so you can tie this under your collar around your neck. I just tied mine off on the back side. You could also just add a pin to the back of the bow if you like. For extra geeky-ness tuck in your shirt, pull up your paints, and complete with some awesome sequin suspenders! Time to make: About 30 min. Oh so cute! 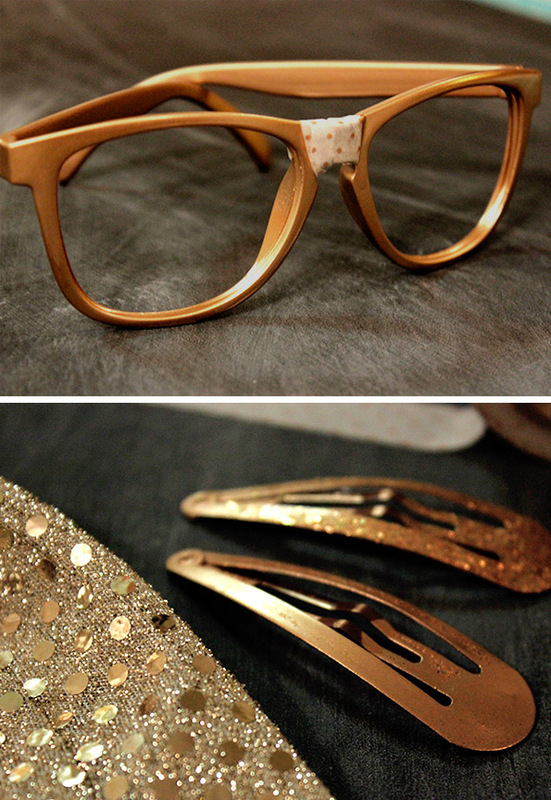 Especially love the washi taped glasses!